With all the schvitzing I do every day, which I described in excrutiating detail yesterday, plus the enormous amount of water I drink every day, I found that I was washing away important minerals. That was causing problems. I started to have very intense cramping. I'd be in a meeting and the hamstrings in both legs would seize up into a very painful cramp. The next thing you knew I'd jump up, try to suppress a scream and break into a sweat. I had such a bad cramp in Pilates one morning that the muscle ached for several days afterwards. I went took a look on line and found that magnesium deficiency not only exists but it is common and often goes undetected. Symptoms can include low energy, fatigue, weakness, sleeplessness, anxiety, nervousness, irritability, headaches and, you guessed it: cramps. I went to my vitamin guru at The Vitamin Peddler (I know - kooky name) on Amsterdam Avenue @ 77th Street (conveniently located in my apartment building). He said I should try a magnesium supplement. 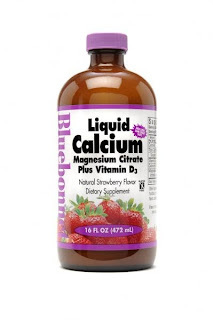 I started off taking a liquid mix of Magnesium, Calcium and Vitamin D. The brand is Blue Bonnet. The results were immediate and miraculous. The cramps went away virtually overnight. I also noticed that I had a sense of calm and slept better. 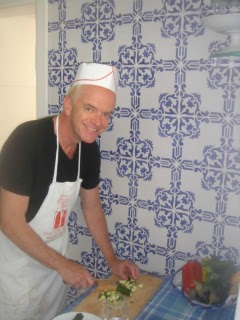 Not to go into TMI but I was also much more regular. On my next visit to my sports medicine doctor, I mentioned the cramps and he prescribed quinine. He's a great doctor but blew it on this diagnosis. I read on line that the FDA does not advise taking quinine for cramps stating that in worst-case scenarios it can actually cause death. I took it for about two months and lived to tell the tale, but stopped and went back to magnesium. This time around I took the pill form. It works just fine again but I plan to go back to the liquid when I finish this bottle. 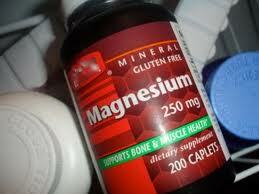 I read that you absorb magnesium better if you take it with calcium. Vitamin D is also a "happy vitamin." It boosts production of serotonin, the "feel good" brain chemical. 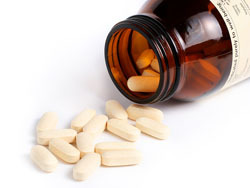 Take magnesium at bedtime. I started taking the liquid form, having a tablespoon in the morning and a tablespoon when I went to bed. I was nodding off before noon - it really makes you sleepy! Now I take it at night. Going back to yesterday's post - be sure to check with your doctor to see if you are well enough to tolerate sauna and steam if you aren't in the habit of using them. Pregnant women should be especially careful and children should not use them.